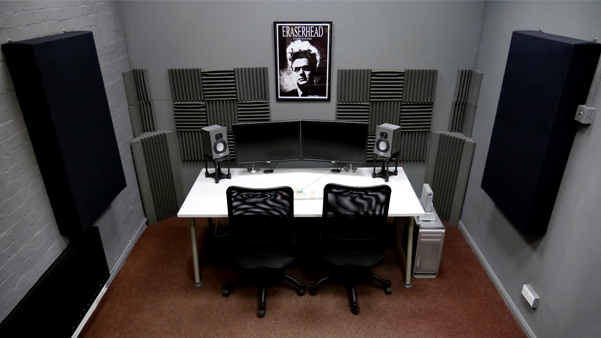 Flexible video editing suite and post production studio. Powerful system suitable for virtually any format and projects such as music videos, documentaries, and independent films. Our facilities in Hackney Wick include a comfortable in-house edit suite, enabling full online tapeless editing. We operate with a host of different software, ranging from Final Cut Studio to Adobe Creative Suite. Whether you are looking for someone to edit a music video or a TV spot, our team will provide you with unparalleled service and support. Our editor has a wide range of experience in dealing with jobs and brands of all sizes and forms. Have a look at his showreel, and give us a call to hear more about our editing facilities and rates. Click here to read more about our London based video production services.